His eminence stressed the need to abolish privileges of parliamentarians, and unify the visions in order to pass the important laws, especially laws affecting the structure of the Iraqi state, and discussed the latest political situation in Iraq, pointed to the importance of concerted efforts to achieve the aspirations of the Iraqi people and fulfill promises made by the political blocs to Iraqi citizen during election campaigns, emphasized completing of the Government cabinet and provide the best candidates to assume responsibility in remaining ministries, renewed support for the Iraqi government in implementation of government program. His eminence stressed the importance of restoring confidence in the Council of Representatives and to start performing legislative and supervisory tasks, also stressed the need to show highest degree of transparency regarding the eligibility of Iraqi Council of Representatives members, called to consolidate visions to pass important laws, especially laws affecting the structure of the Iraqi state. 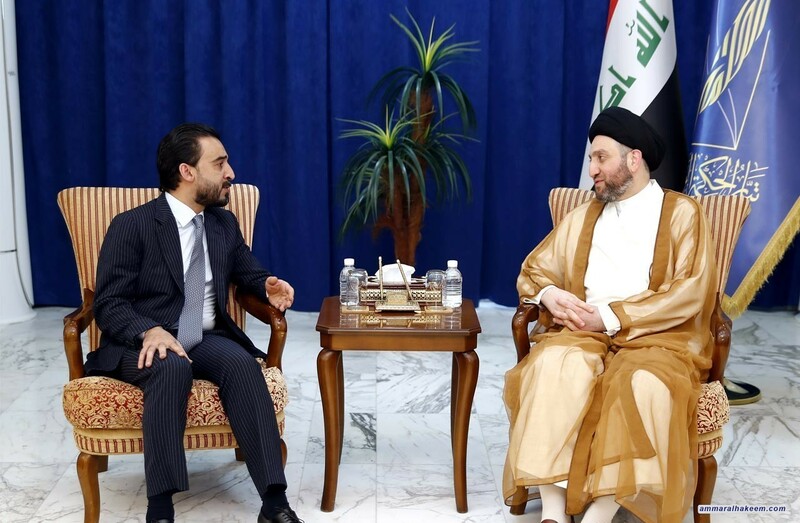 Regarding regional and international aspects, his eminence stressed the importance of openness to the regional and international environment based on common interests, pointed out that Iraq's interest is to be a bridge between the parties and not a stage for confrontation and intersection.